This year we expect over 5,000+ in our community to come together to participate in this beloved Thanksgiving morning event. 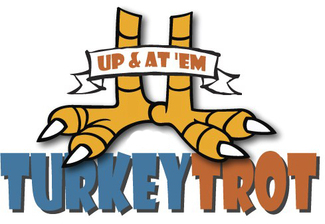 This is year number 14 for the Turkey Trot and it continues to grow in size and excitement. To make this event happen, we need over 150 volunteers. Please consider signing up the week of November 18 - 21 in one of the many volunteer areas available.